Garonga Safari Camp is a fashionably exclusive tented camp set in the greater Makalali Conservancy, west of the Kruger National Park. 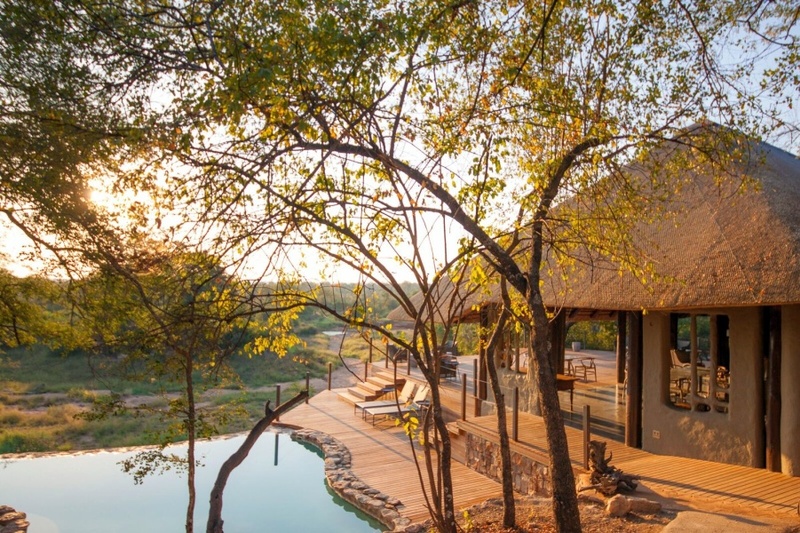 Six en-suite luxury tents have decks commanding spectacular bushveld views. In addition to indoor showers, the tents also offer the luxury of private showers under the enormous sky. Enjoy drives, walks, sleep-outs, bush-baths, and aromatherapy and reflexology. Exclusive-use Little Garonga offers exquisite privacy in three luxury suites, lounge, and outdoor leisure space with pool and barbeque area. Children: 12+ years at Safari camp; 6+ years at Little Garonga. HONEYMOON SPECIAL OFFER 2019: Book a 4-night honeymoon stay and enjoy the following value-adds: one 45-minute massage each; champagne on arrival; complimentary transfers if needed to Hoedspruit or Phalaborwa. On honeymoon bookings of less than 4 nights, the value-adds are also offered, except for the complimentary transfers. Subject to availability and valid for travel throughout 2019. PAY 4 STAY 5 SPECIAL OFFER 2019: Get one night free on a 5-night stay, plus complimentary road transfers from Hoedspruit or Phalaborwa, and a 30-minute massage. Subject to availability and valid for travel throughout 2019. There is no specific conference room set aside. The staff at Garonga Safari Camp co-ordinate sessions in a style suited to meet specific requirements, offering exclusive use of the venue, which can accommodate a maximum of 14 delegates.